This exhibition at Sprüth Magers, Los Angeles, introduces films and animations by Jon Rafman and Stan VanDerBeek, two artists from different generations, both exploring and working with associative imagery and their effect on the conditioned and the subconscious mind. Derived from the notion of screens and projections, their installations evolve around an immersive cinema and animation experience. The exhibition includes a multi-screen space by VanDerBeek that juxtaposes and conflates animated collages and projections from the late 1950s to 1968, and Rafman’s environments that recall virtual reality worlds and video games. The work of both artists together presents an enigmatic, surreal view of the world. Projections loom around us as virtual simulations on screens across our everyday life; equally, they appear within us, as memory in our minds and feelings in our bodies. Manuel De Landa states that condition of simulation requires that, “We need to acknowledge that we have built these layers of virtuality and that they are real, they are real virtual.” The exhibition raises questions regarding how simulated worlds change our behavior and our relationships to others and ourselves. What do we feel, here and now, in the very presence of our body, if artificial worlds enter deep into our emotions, suggesting to us what we should feel and what we should like in an unconscious, timeless present? Rafman and VanDerBeek’s art reflects a contemporary moment when digital tools, animation and virtual worlds are constant presences; they explore the impact on our identities and our understanding of life. 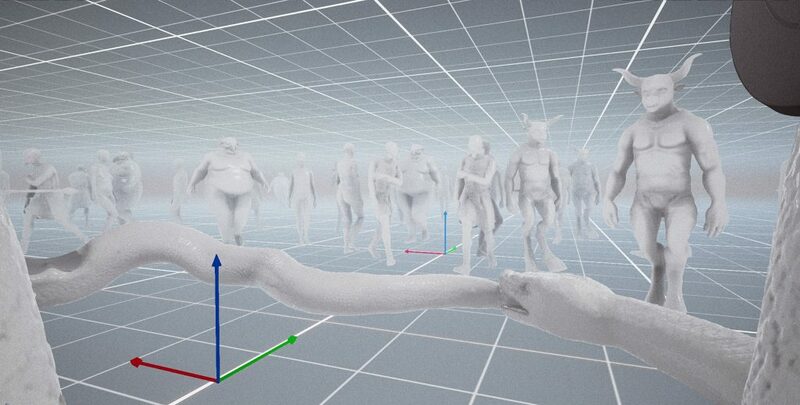 Artist Jon Rafman, a generation later, draws inspiration from a range of digital innovations. 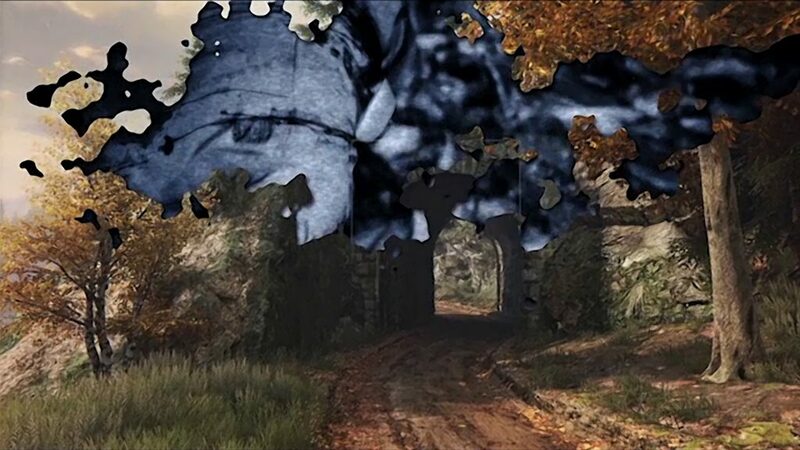 Drawn to the interaction between technology and our social and subjective conditions, Rafman mines video game footage, internet memes and virtual landscapes for images, text and found footage, which he collages together to produce poetic narrative films. His work is inspired by technology’s seemingly infinite potential and at the same time his awareness of the risk of alienation and solipsism. He layers his works with references to fantasty, scifi, romantic and modernist literature, the history of photography, cinema, painting and classical mythology. In this way, he highlights how critical historical tropes and motifs permeate today’s zeitgeist. In Open Heart Warrior (2016), lush virtual landscapes blend with the bleak yet savage imagery of video games as a voice-over narrative moves through guided meditations and alternate expressions of hope and despair. Rafman explores the wealth of contemporary technological and digital innovations to highlight their potential for self-discovery and the joy of exploration. 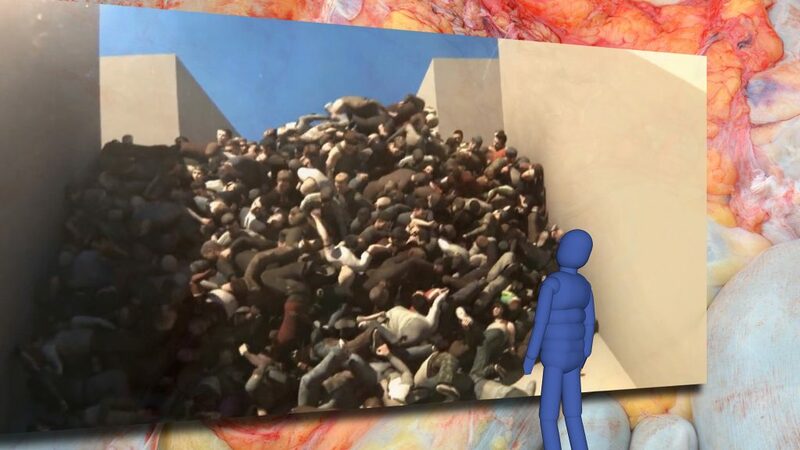 Rafman’s film, Poor Magic (2017), in its premiere, incorporates computer-generated crowd simulations and facial texture maps to articulate a beautiful yet terrifying vision of contemporary consciousness. The film is situated in a new sculptural installation that recalls a decaying and petrified post-apocalyptic environment. The exhibition also includes Rafman’s latest Virtual Reality piece, Transdimensional Serpent (2016), a four-minute Oculus Rift experience. Viewers encounter immersive environments of fields, deserts and forests populated with an array of fantastic beings. Visually compelling, ambiguous and frequently unsettling, Rafman’s video and virtual reality works are often presented amidst immersive and highly tactile sculptural installations that also reference spaces of play and contemplation. Stan VanDerBeek’s early compositions as a filmmaker reflect the experimental influence of Black Mountain College, which he attended; Surrealist and Dadaist collages; and the expressionistic tendencies of the 1960s Beat Generation. His visionary approach to art making was not only radical in his time, but is also increasingly reflective of a contemporary discourse around the integration of media, technology and everyday life. He engaged prolifically with everyone he encountered, including figures from the 1960s American avant-garde such as Buckminster Fuller, John Cage, Merce Cunningham, Claes Oldenburg and Allan Kaprow; an international experimental film community; scientists and students; and even people watching television in their living room. Like Rafman, VanDerBeek worked across many media and completed hundreds of animated short films and videos featuring his signature techniques of collage, drawing, text, found footage, computer graphics, live action, color and sound. He used these films alongside other projected and live performances in multi-screen moving-image environments, such as at his Movie-Drome theater (completed 1965), using random sequences and continuities so that no two performances were alike. 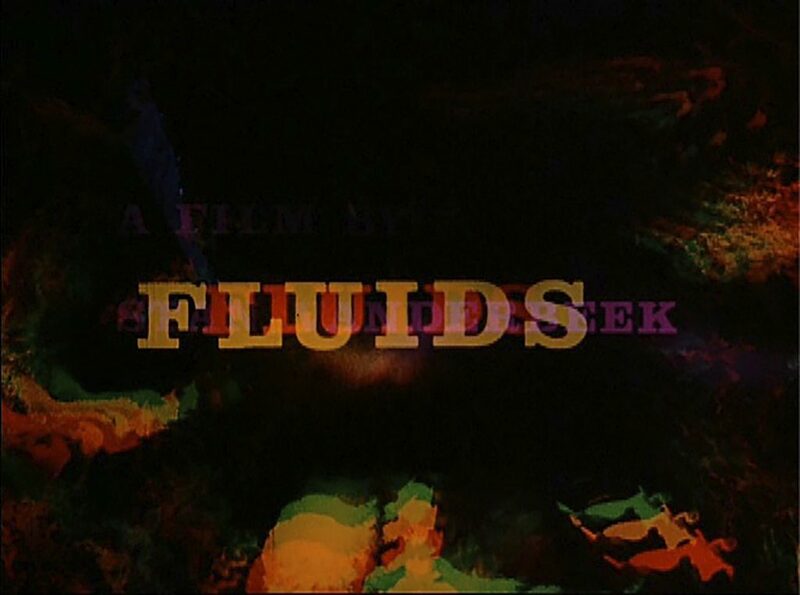 Shot on 16mm, his multi-screen installation in this exhibition contains three earlier films—Astral Man (1959); Fluids (1964); and Oh! 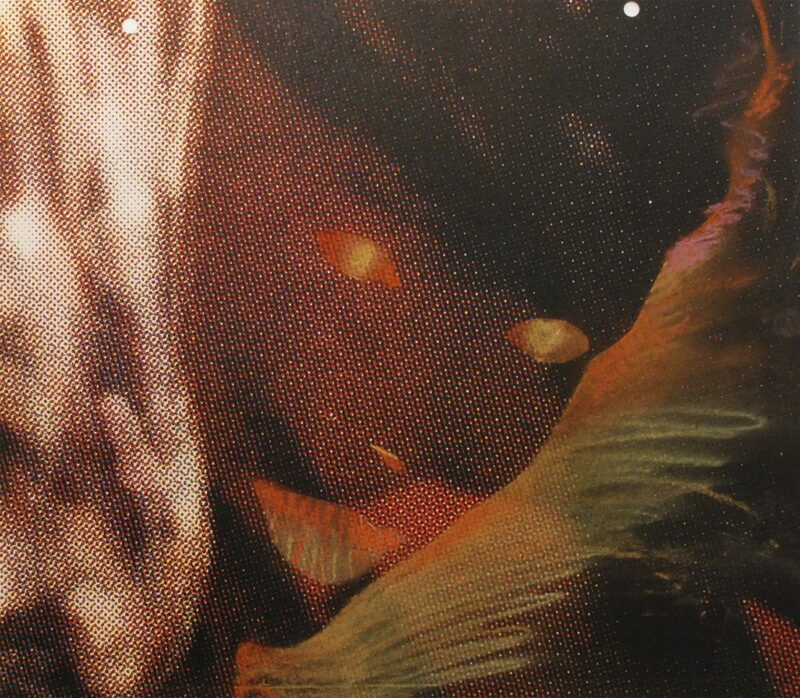 (1968)—and combines animated paintings and collage films into an organically developing form. In this and other works, VanDerBeek infiltrated the civic space of his time with profound combinations of imagery in hopes of disrupting passive media consumption.